The picturesque neighborhood of Water Dance & Wooden Canoe sits along the shore of Lake Dillon in Frisco. This envious, pristine location puts you minutes from Main Street in Frisco and the marina. The paved bike path connects this beautiful mountain subdivision to Summit County. 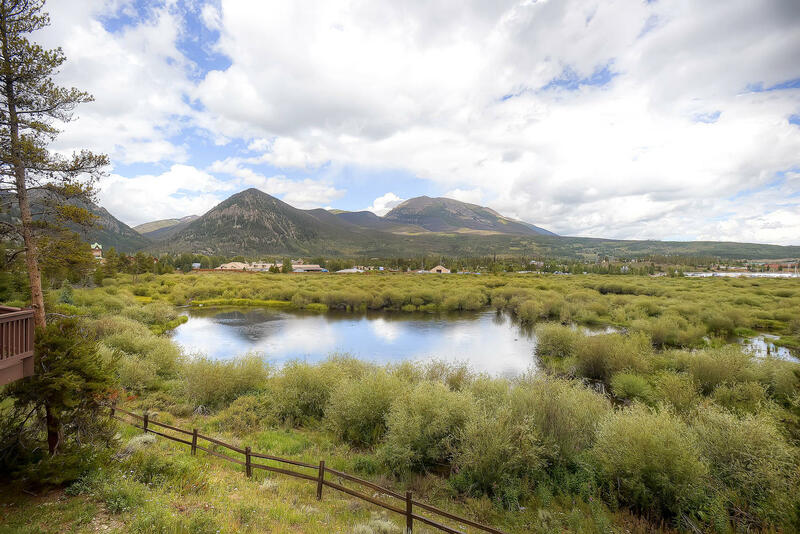 Situated walking distance from the Marina, Nordic Center, mountain trailheads and Main Street Frisco – you have everything Summit County has to offer at your fingertips! Water Dance & Wooden Canoe is an outstanding subdivision that borders 217 acres of open space and the Frisco Peninsula. Featuring 45 custom single family homes and townhomes, this well established neighborhood is attractive to locals and visitors alike. Modern mountain architecture, immaculate landscaping and refreshing local flavor define Water Dance & Wooden Canoe. Within this gorgeous subdivision, you’ll find two fishing ponds, streams and walking paths weaving throughout. Spectacular mountain views surround each residence looking out to mountain peaks and lake views. Enjoy your neighbor – the Frisco Nordic Center and Adventure Park host to 45km of cross-country ski and snowshoe trails and 1,200 foot tubing lanes with lift service up the hill. In the summer months recreate on the peninsula by playing the 18-hole disc golf course or cruise downhill in the bike park. Trail runners take note – you have 45km of trails to run in the summer as well! Grab your kayak or fishing pole and head down to the marina where they offer boat rentals and SUP Yoga classes. Hungry? Grab a bite and refreshing beverage at the marina’s restaurant. Wine, dine and shop on Frisco’s Main Street. Only a 5 minute walk to downtown from Water Dance & Wooden Canoe, you can enjoy local shops, mountain boutiques, spa’s, restaurants, pubs and bistros! During cool winter and summer nights listen to live music, shoot some pool or hang out by a bonfire while enjoying local fare and flavor. The Water Dance & Wooden Canoe subdivision has it all. Phenomenal location, gorgeous residences and only 15 minutes from 4 world-class ski resorts, this subdivision leaves you wanting for nothing. Make Water Dance & Wooden Canoe in Frisco your mountain residence today! If you would like more information about this spectacular subdivision, the professional team of brokers at Real Estate of the Summit will be more than happy to assist you with all your Summit County real estate needs. Call our office at 970-453-1450 or fill out the contact form below and we will get in touch with you.